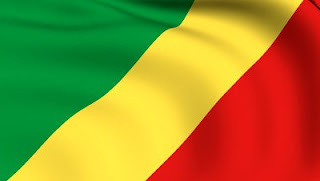 The Republic of the Congo (not to be confused with the Democratic Republic of the Congo which I did a few weeks ago) is a country in Central Africa which borders the Congo River. I picked this recipe so we could try out goat meat since none of us have eaten it before. Put the goat meat in a pan with the chopped spring onions, salt and enough water to cover the meat. Simmer for 30-40 minutes to make some goat stock. Pour the stock into a jug to use later. Add some oil to the pan and saute the goat for a few minutes. Add the other ingredients, stir then simmer for 30 minutes. The goat had a strong smell as it was cooking so I expected it to have a strong taste too. It didn't though, it was a lot like lamb in flavour but chewier in texture. This stew was great, one of the best blog foods we've had. The simmering of the sauce had made it thick and hearty, like a pasta sauce really. 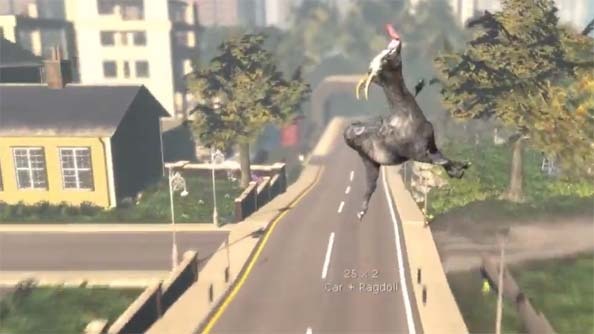 Leigh and Erin decided not to eat the goat, they have been playing Goat Simulator on the XBox a lot lately. Me and JD will happily eat goat again even though we've also played the game. Good on ya for trying the goat. I've tried to cook it twice and failed both times. And I know it can be good, since I've had it a couple of times. Glad it worked well for you! What cut of goat did you use? WeWant to try this too!